Pâte Sablée | happyspinach etc. I went to camp and it was an incredibly deep and moving experience. At the moment, trying to put together a cohesive post about it would be rather impossible. In the interim, though, this song was probably one of the most impactful ones we sang during worship sessions. But moving away from the topic of camp and music and on to the topic of this pâte sablée, let’s just call it a precursor to my next French post. Which is delicious. From Julia Child in Mastering the Art of French Cooking, Volume One. For tips on making the dough, see here; and for tips on rolling out the dough, see here. Place the flour, sugar, baking powder, unsalted butter, and shortening in a medium bowl. Using the tips of your fingers, quickly work the butter and shortening into the dry ingredients until the mixture resembled fine oatmeal. Form a well in the buttery flour and pour in the beaten egg and vanilla extract. Using your finger tips, slowly incorporate the wet into the dry. Turn the dough out onto a marble slab and knead until it comes together. Form it into a ball. Using the heel of your hand (not the palm), smear the dough out bit by bit onto the marble surface and re-form into a ball. This is the final distribution of the fat into the dough. Pat it out into a disk, wrap in wax paper, and chill in the refrigerator for an hour or two, or overnight. To bake, preheat the oven to 375 degrees F.
Lightly flour your work surface, roll the dough out, and place it in your 9 or 10 inch, false bottom tart pan, being sure to work quickly. 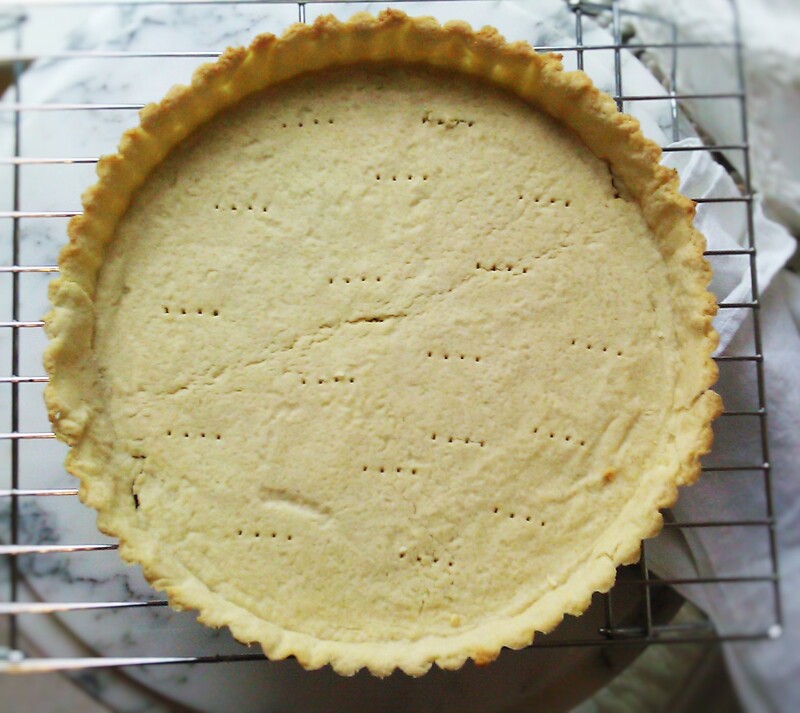 Line the tart with aluminum foil and pie weights or beans. Place into the oven and bake for 5 to 6 minutes, until the dough is set. Pull the tart out of the oven, remove the foil and weights, poke the bottom of the shell with a fork multiple times, and place back in the oven. 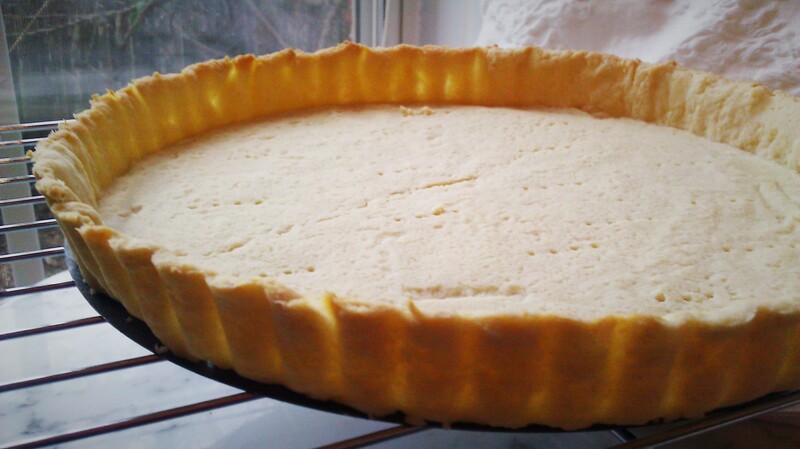 Bake again for 8-10 minutes, until the tart is beginning to pull away from the edges and is lightly golden. Remove from the oven and unmold to cool. This entry was posted in French, Tart and tagged French, Hillsong UNITED, Pastry, pate sablee, Tart. Bookmark the permalink.